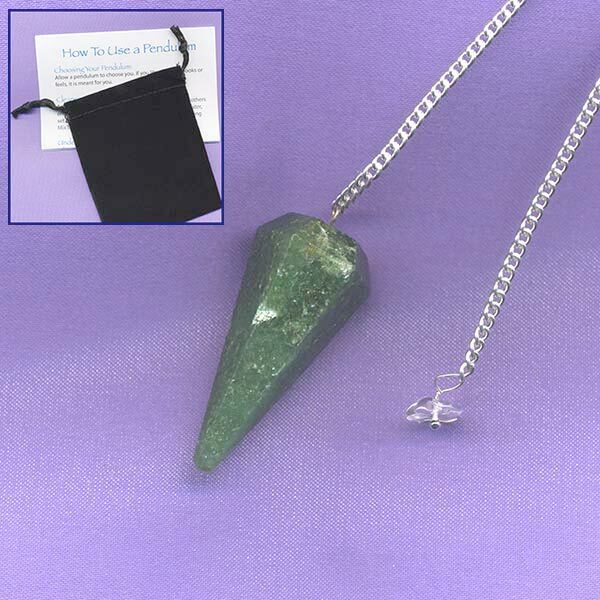 Faceted Green Aventurine Healing Gemstone Pendulum. 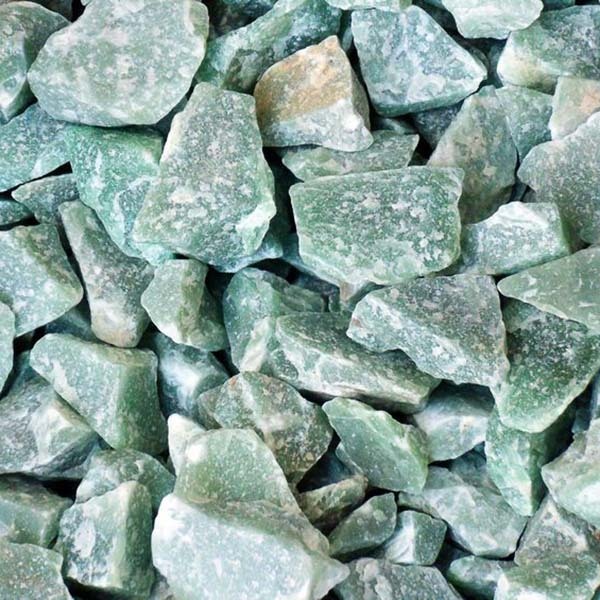 Green Aventurine can enhance relaxation, regeneration and recovery. Size: 1/2" in diameter, 1-1/2" tall and has 7" silvertone chain with Quartz Chip Bead on end. Overall length is 8". These are handmade in India, sizes can vary (some are slightly larger).